DaVinci Resolve - Nelco Media, Inc.
before with professional hardware control panels! Exotic locations, far off places, and even entire worlds are created on the stages and inside the computers of major Hollywood film studios. Bringing it all together and making it look real requires the most powerful tools and the highest quality image processing. While DaVinci Resolve can be used as a stand-alone software tool, adding a hardware control panel lets you work faster than ever before, while also dramatically expanding your creative options. Developed in collaboration with the leading post-production facilities around the world, DaVinci Resolve control panels give colorists the control they need to create realistic images that make us believe in what we see on television and the silver screen! 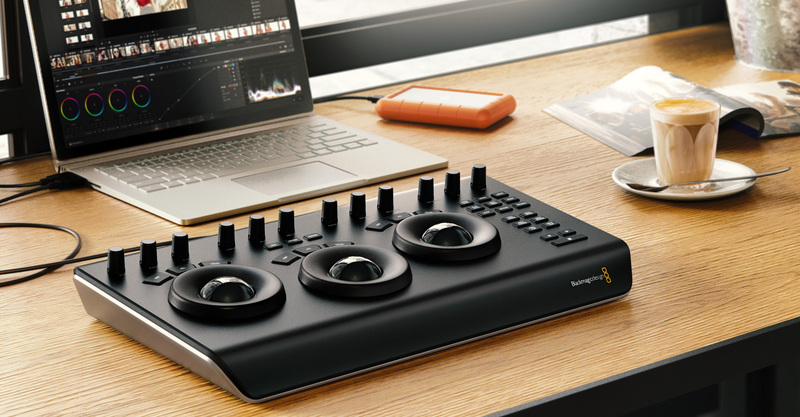 DaVinci Resolve control panels are designed to give you fluid, hands-on control over multiple parameters at the same time, so you can work faster and be more creative. The hardware controls are placed logically near your natural hand positions and are made out of the highest quality materials. You get smooth, high resolution weighted trackballs for making precise adjustments. All knobs, dials, and buttons have been custom designed to feature the perfect amount of resistance, so you can accurately fine-tune any parameter. Best of all, the hardware panels allow you to adjust multiple settings, such as lift, gamma, and gain, all at the same time, giving you a level of creative control that goes far beyond what’s possible with a mouse. With three panels to choose from, it’s easy to find one that fits perfectly on your job. The large DaVinci Resolve Advanced Panel is perfect for dedicated color correction suites and grading theaters where professional colorists work all day. The DaVinci Resolve Mini Panel is perfect when you need to switch between color and editing work, or for freelance artists that need a feature-rich portable panel they can move between jobs. The DaVinci Resolve Micro Panel is incredibly small but professional. It fits perfectly next to a keyboard for simultaneous editing and color grading, and is great for use with a laptop for on location grading! All 3 panels have controls in similar positions, so it’s even easy to move between systems running different panels! The DaVinci Resolve Micro Panel is a high quality, portable low profile panel that features three high-resolution trackballs and 12 precision machined control knobs for accessing all essential primary color correction tools. Above the center trackball are keys for switching between log and offset color correction, as well as a key to display DaVinci Resolve’s full screen viewer, which is great for use with laptops. Eighteen dedicated keys on the right side also give you access to the most commonly used grading features and playback controls. DaVinci Resolve Micro Panel is perfect for independent editors and colorists that need a truly portable solution, great on set to create looks and evaluate color and lighting, ideal for quickly grading video in broadcast trucks, great for education and much more! 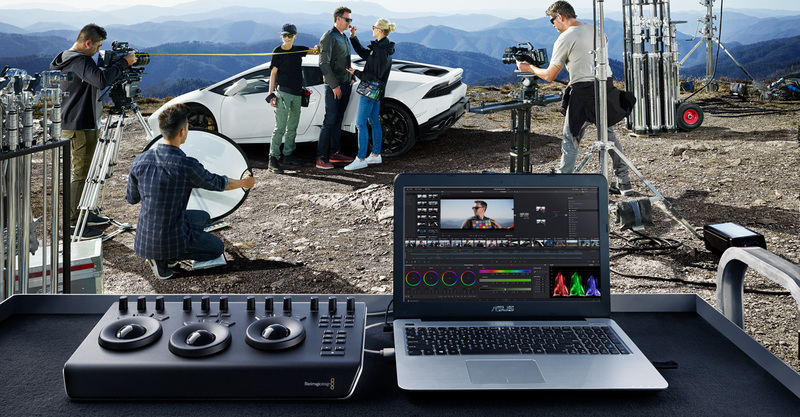 For the ultimate in speed, power and control, get the DaVinci Resolve Advanced Panel! The Advanced panel has been designed in collaboration with professional colorists to work together in total harmony with the software. This large panel consists of left, center, and right consoles that give you quick, one-touch access to virtually every parameter and control in the software. The DaVinci Resolve Advanced Panel lets colorists instinctively reach out and touch every part of the image, adjusting multiple parameters simultaneously with complete responsiveness for a smooth grading experience. When you're working with a client over your shoulder on a tight deadline, you need the DaVinci Resolve Advanced Panel!